Tom Skelton shivered. Anyone could see that the wind was a special wind this night, and the darkness took on a special feel because it was All Hallows' Eve. take hold of her actions, that communes with her environment, that isn't afraid of facing challenges. We never know who is walking beside us, who is our spiritual teacher. That one - who annoys you so - pretends for a day that he's the one, your personal Obi Wan Kenobi. The first of November is a splendid, subversive holiday. Your Challenge: Show your truth about this holiday in a poem that tells a story. Is Halloween a children's holiday, as marketed in the USA? A Wiccan or Witches' New Year? All Saints Day and/or The Day of the Dead? On All Hallows' Eve, Christians in some parts of the world visit graveyards to pray and place flowers and candles on the graves of their loved ones. Something else? Show your truth about this holiday in a poem that tells a story. Post your Halloween, or Celebrating the Dead poem on your site, and then link it here. Yeah, me too. Welcome to the last Midweek of October, Jae Rose. Ha...subversive Catholics trying to blow up the Houses Of Parliament ( Chortles;)makes for interesting poetry ! We be of one blood, flowing inside ... and hardly visible though true. Like your depictions of the male and female in your poem, though I suspect we can be more or less of one or the other. I remember that. I'm glad you survived to tell about it--and that it is 20 years ago. Do you think the lessons then are relevent now? Sharing a real experience specially for Dr Susan Chast's Halloween prompt. Good one, Anjum. 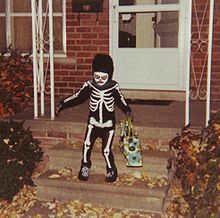 Do you have a Halloween tradition at your house? Great, Sherry! I just came from your site. That narrative flows so fine, as if it wa easy to write. Thanks for your heartfelt poem! And also for your wonderful comment on my poem. We celebrate All Saints Day on Sunday. My short poem commemorates the 'celebrating the dead' aspect of the prompt. However you celebrate the season, enjoy! It's a beautiful poem, Mary. Now thoughts of some dearly departed, in poetic form!! Great poem! I've made an effort to have clearer prompts, so I hope that you enjoy them. Right up my alley, of course! I have written two, one on the night of the dead as requested, the other explaining that in the Southern Hemisphere it's something very different. Again this theme dovetails nicely with other prompts I was addressing. Now I have - how appropriate! - The Living Dead to write and post, so it may be a little later before I read and comment on others' poems here. Happy to have you with us, Rosemary. Both poems imply story. You inspired me to write another, too. And who knows what Friday will bring? Perhaps you cannot resist posting another on Halloween? Please do! Halloween has never been much seen in Australia, although in recent years it has become a little more evident, as something fun for children. Which it is, although its origins in Europe no doubt spoke of darker things. Darker and deeper, for sure. It is wonderful to see you here Roslyn! Enjoy the day. That's all folks--bring the rest of your poems to our Pantry tomorrow! The next midweek motif will be bonfires. Big ones.